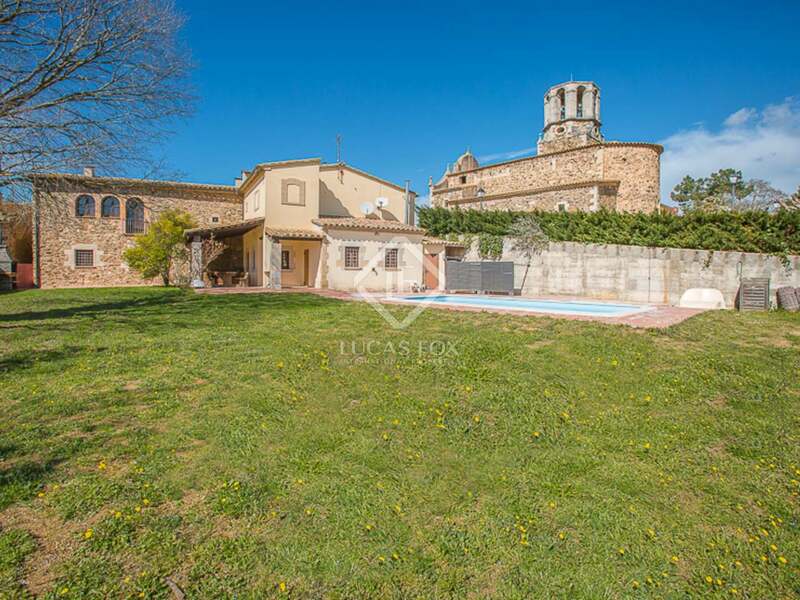 This 17th Century former Rectory for sale is located in the heart of a prestigious village of El Gironés, within close proximity to Girona city (10km), its international airport (13km) and only 30km from the beaches of the Costa Brava. 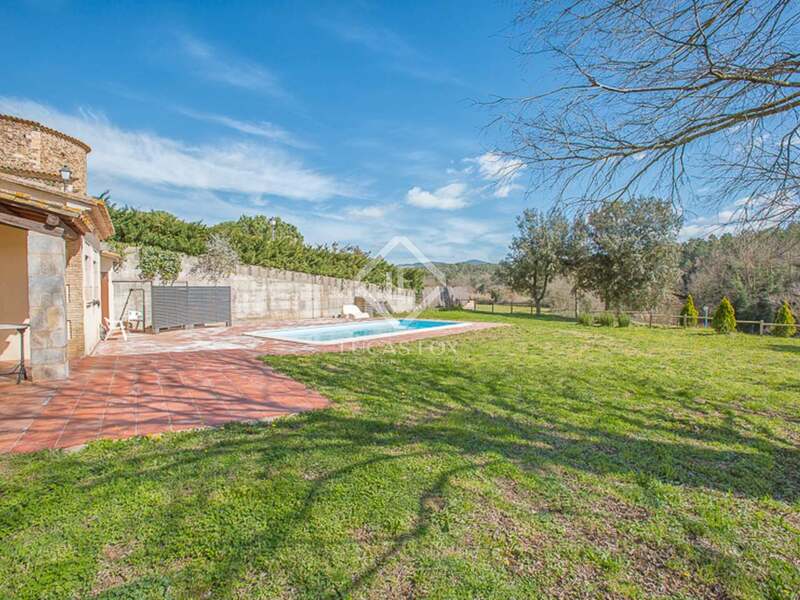 The property is also just a few minutes drive from the highly rated St Georges International School in Fornells de la Selva. 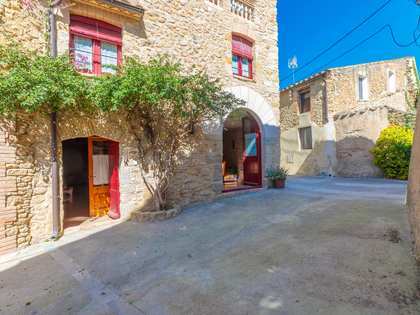 This attractive stone property has been renovated by the current owner (1997) and includes approximately 400m2 of living space across two levels, including 2 reception rooms, 6 bedrooms and 4 bathrooms. 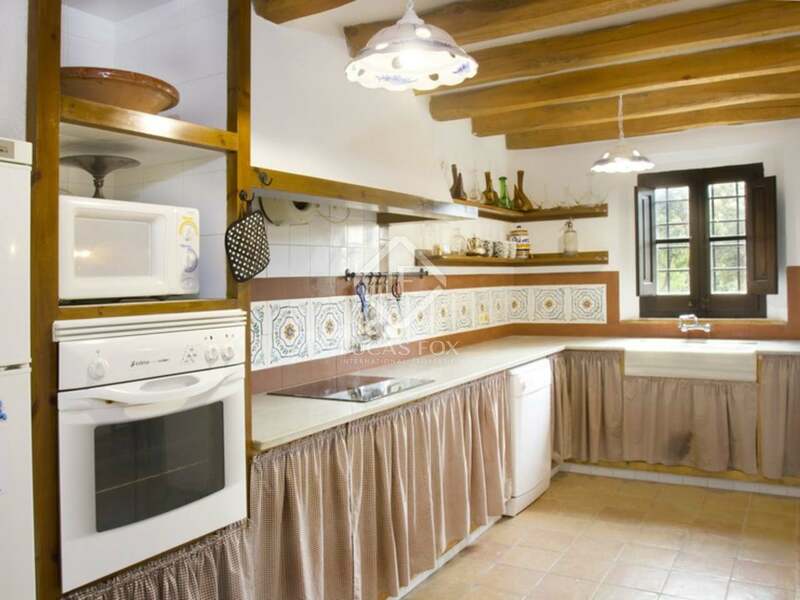 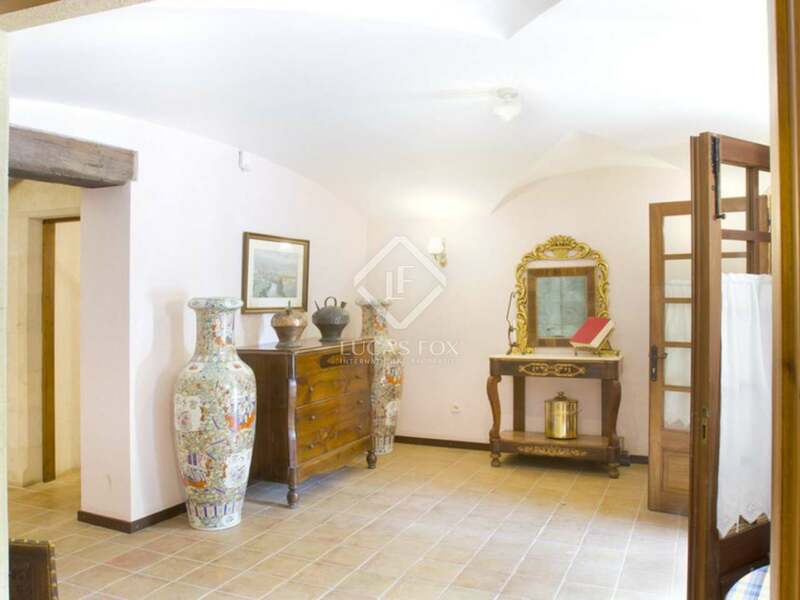 The property is located next to the church in the main village square and is constructed on a large plot of 1200m2 with lawn garden, a covered and open terrace and BBQ area. 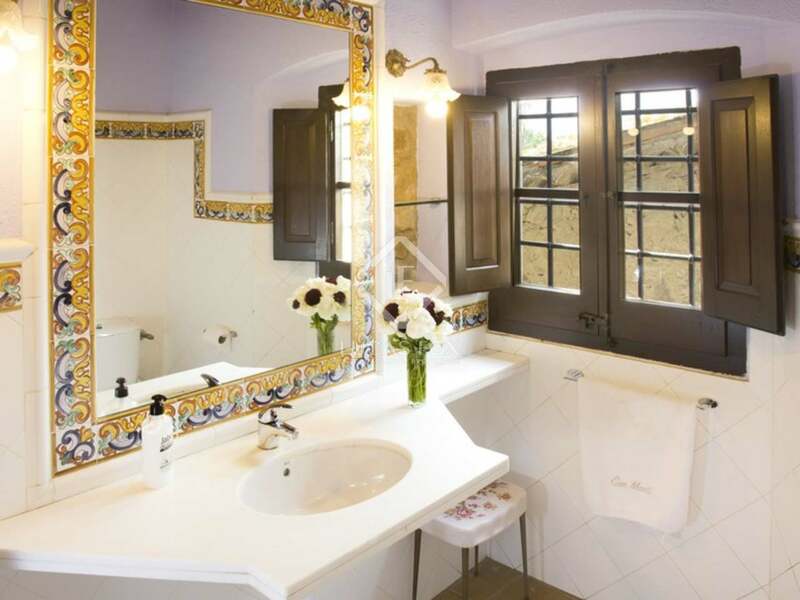 The property was renovated using good quality materials and the owner has recently carried out some additional works to update the property. 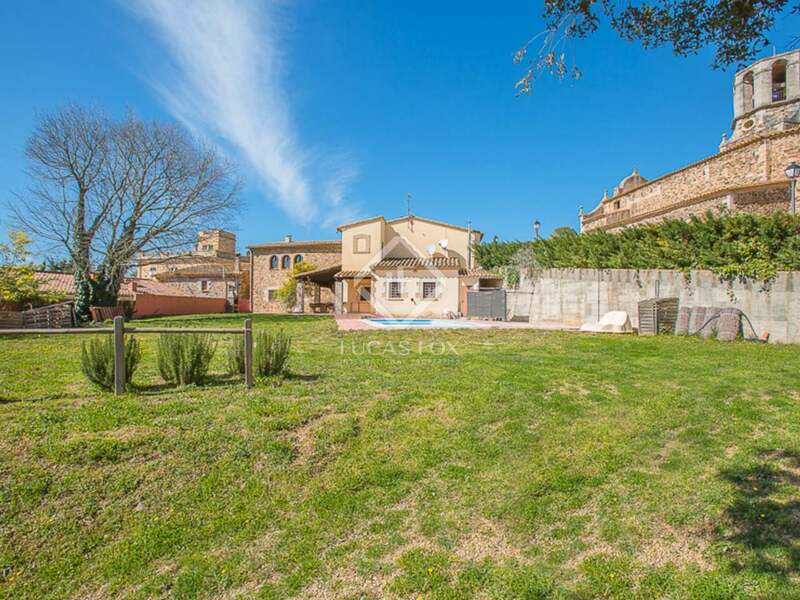 There is ample parking in front of the property and there is also the possibility to construct a private garage. 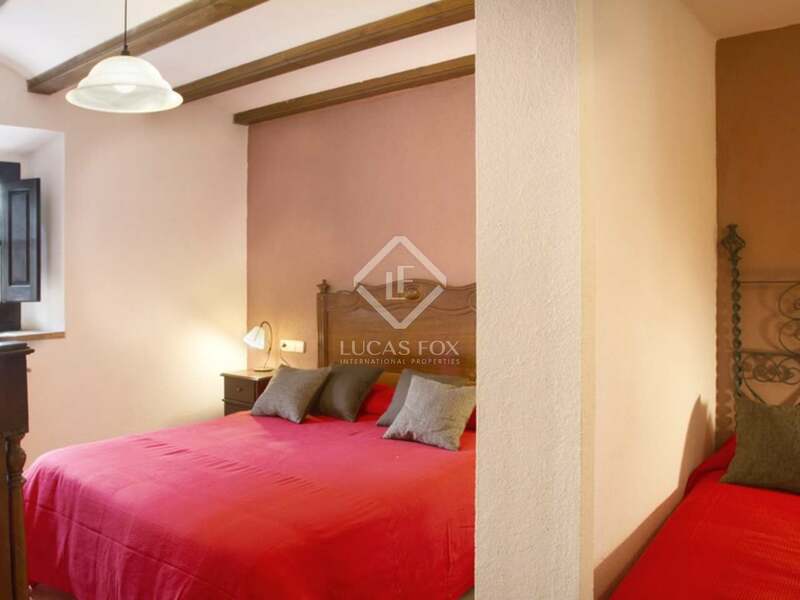 The property is located on the edge of the Gavarres Natural Park, making it ideal for someone looking for peace and tranquility, with the added convenience of being just a few minute's drive from one of Spain's most beautiful cities. 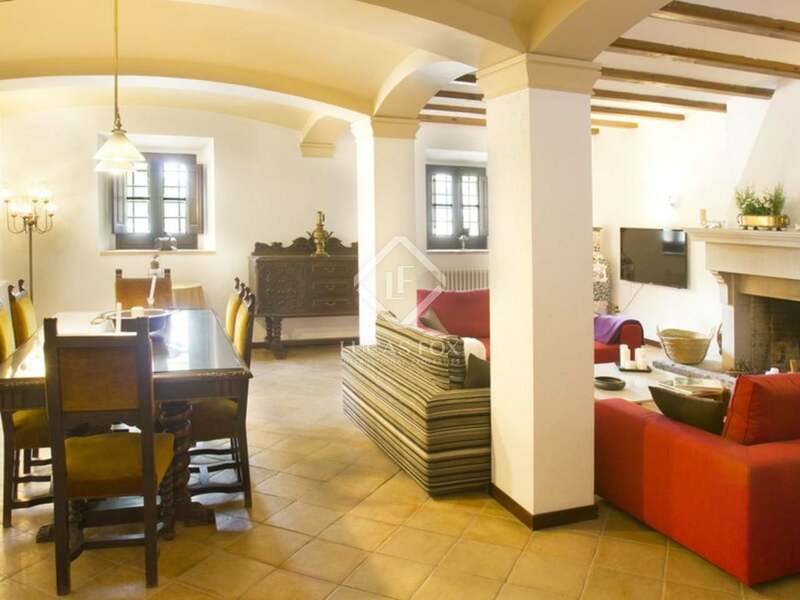 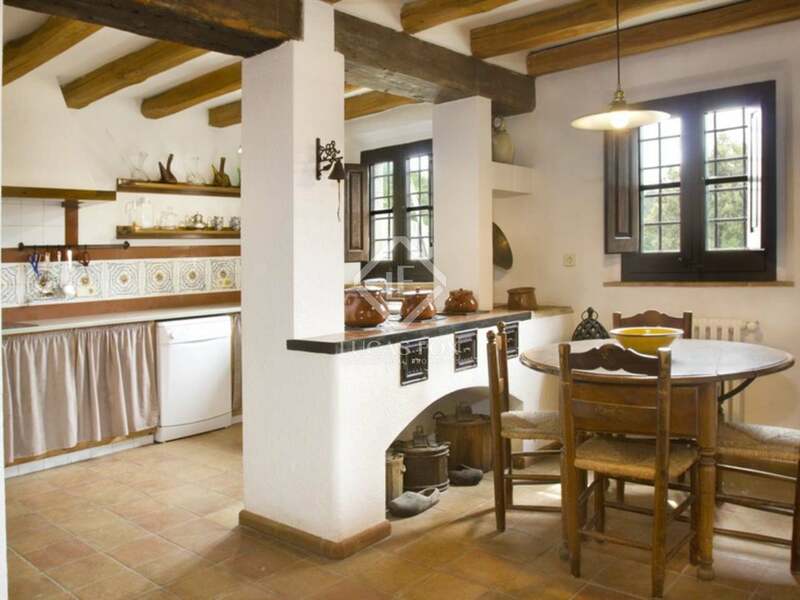 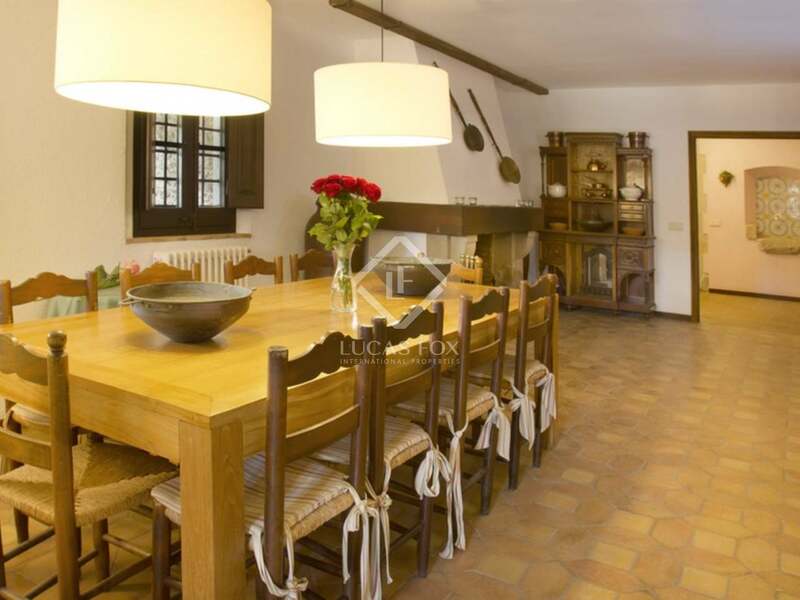 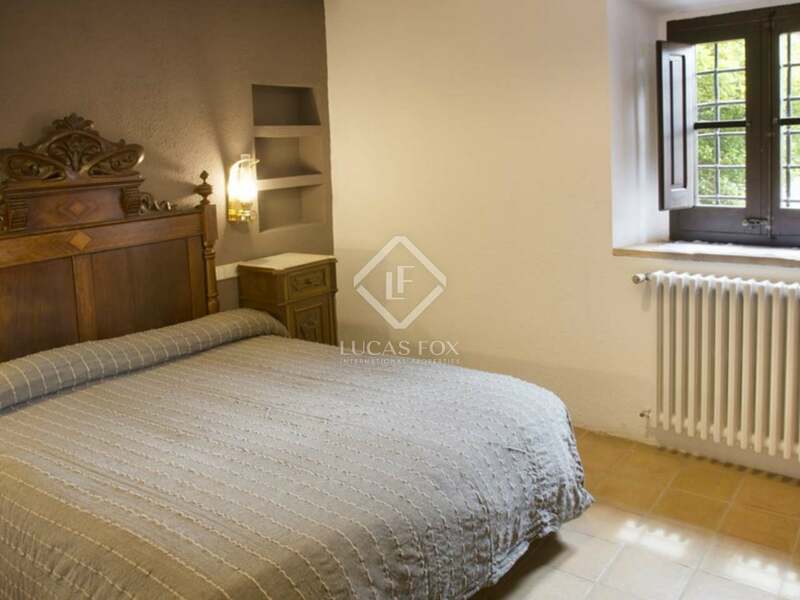 View more Girona rustic property to buy. 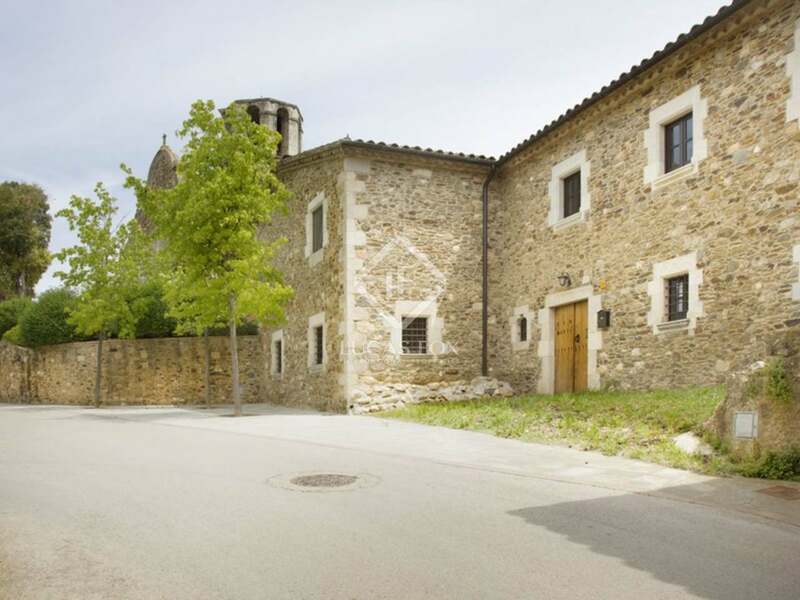 Ground Floor:- Grand entrance hall; living room with stone fireplace; living/dining room with stone fireplace; open Catalan-style kitchen; pantry, laundry room; guest cloakroom; master suite with large dressing room, fitted wardrobes and bathroom; double bedroom; bathroom with shower. 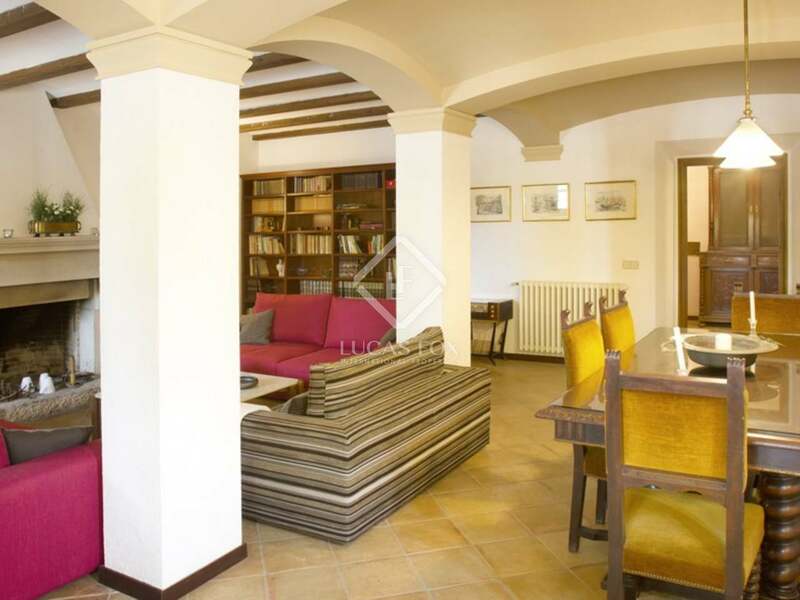 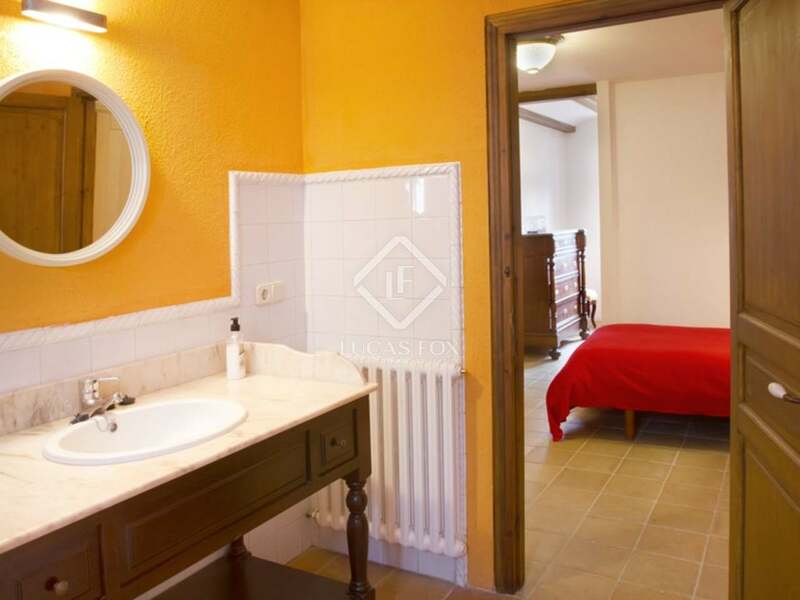 First Floor:- Second living room with views overlooking the Gavarres and the garden; en-suite double bedroom; two double bedrooms; family bathroom. 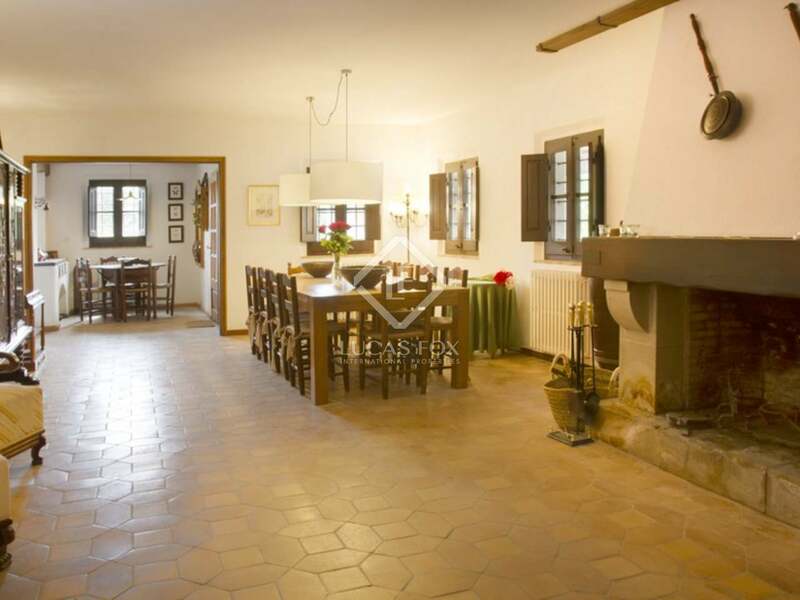 This 17th Century Girona property to buy is ideally located on the edge of the stunning Gavarres Natural Park, close to Girona city and its international airport, and less than 30km from the nearest beaches of the Costa Brava. 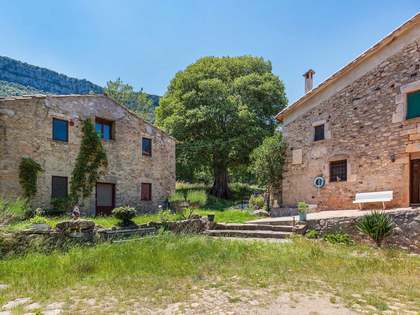 The property is just 7km from PGA de Catalunya, Spain's No.1 Golf Course, and only 12km from El Celler de Can Roca, the world's No.2 restaurant. 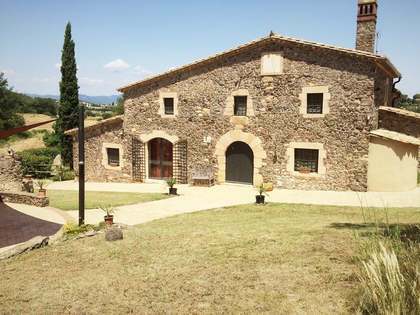 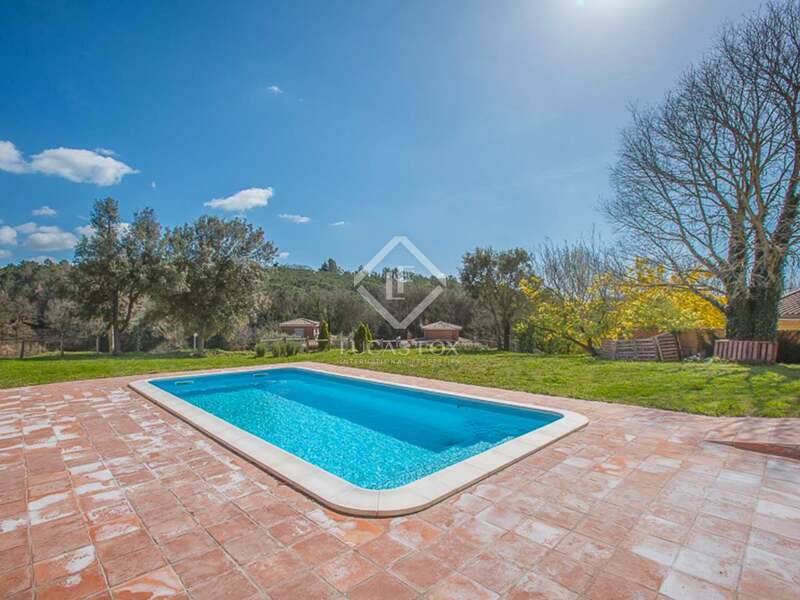 View more Girona country property to buy.